About the music: This melody is one of the oldest known plainsong melodies, and comes from the great collection of Medieval church music known as Gregorian Chant. 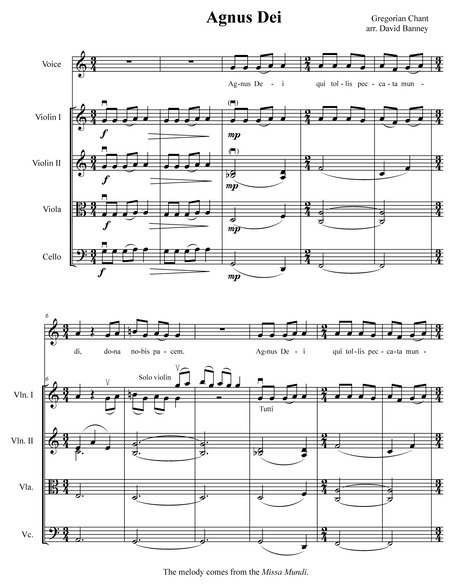 About the arrangement: In this arrangement, voices and solo violin converse with each other. Students may be asked to identify the entries of solo violin. Sol-fa: The sol-fa of this melody is complex. It seems natural to begin on re, though this means that the highest note of the melody is fi. The melody ends on the note on which it began.